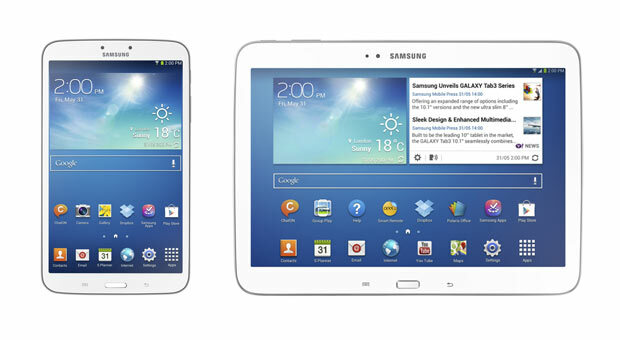 Samsung has added two new Android tablets to its Galaxy Tab 3 range, an 8-inch model and a 10.1-inch model, each running Android 4.2 Jelly Bean. In terms of hardware specifications, the 8-inch tablet uses a 1.5GHz dual-core processor, has 1.5GB of RAM and comes in both 16 and 32GB offerings, with storage expandable by microSD. You also get a pair of cameras, with 5-megapixels to play with on the back and 1.3 megapixels on the front. The Galaxy Tab 3 8.0 will also feature a proper LTE radio, meaning you can browse the web easily on the go. The screen is the only real weak part of the whole setup. At 1280 x 800, the 189 ppi display isn’t as high resolution as a lot of the competition. 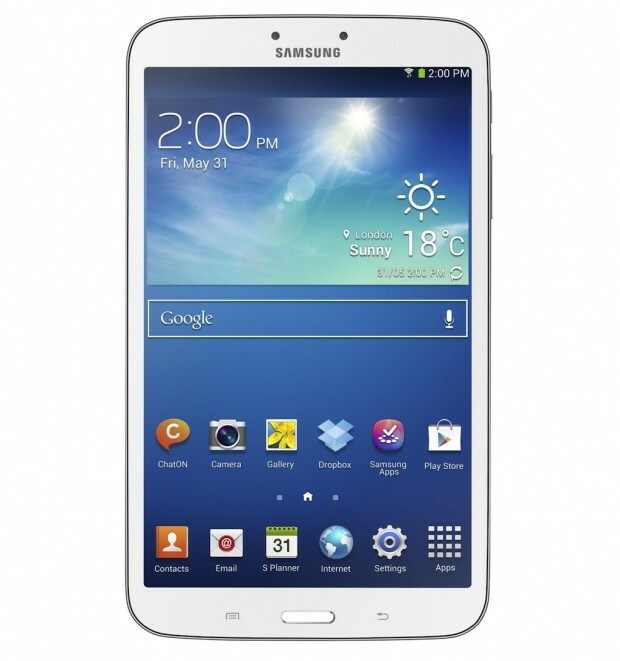 On the 10″ model, Samsung has opted to stick with a 1280×800 display resolution on the 10-inch Tab 3, meaning you’ve got the same pixel count as the Samsung Galaxy Tab 3 8.0, only spread over a much larger area. However, there is a faster 1.6GHz dual-core processor, 6,800mAh battery and strangely, a lower resolution 3 megapixel camera and only 1GB of RAM. Also, as you can see from the image above, Samsung has completely dumped the on-screen keys in favor of physical buttons below the display. There’s no word of any official release date or price just yet, however. 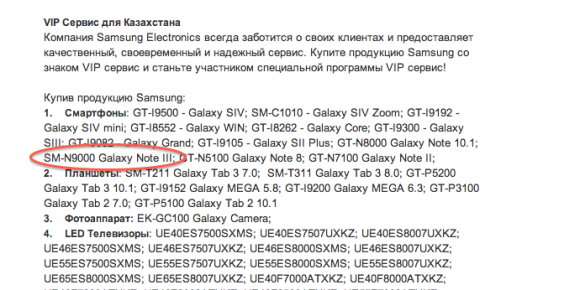 Meanwhile, SamMobile reports that Samsung Kazakhstan confirmed the Galaxy Note III and Galaxy S4 Zoom by mistake. The model numbers showed up on a page that talks about a special VIP-service. The page refers to a number of unannounced products like the Galaxy S4 Zoom (SM-C1010), Galaxy Tab 3 10.1 (GT-P5200) and the highly anticipated Galaxy Note III (SM-N9000). what will be the price in india? and what is the release date of this tab? 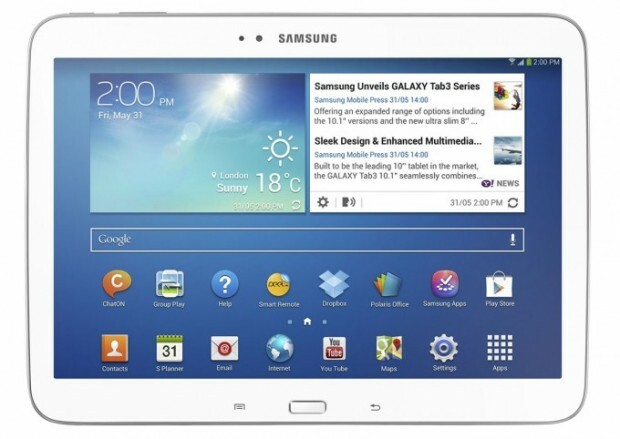 Sourav_cenation my friend had bought samsung galaxy 8.0 [GT-51000] and it cost rs.30000/-….but the tab is too better to other compare !! ? Still in the end APPLE RULES & is BETTER than Samsung!